Hello Raider Nation! Our boys continue their journey to the state playoffs! For the 2nd consecutive year under new head coach Bo Abney our boys qualified for the state tournament. The Raiders pulled out a 49-45 win Tuesday vs. the Lassiter Trojans. Sophomore Luka Avaliani continued his hot streak with 20 points, dissecting the Trojans defense as if he were a surgeon. Junior David Sickles was hot from deep, pouring in 4 three point shots. The thing that set us apart from Lassiter in the end was our improved free throw shooting in crunch time, as we shot 7-9 from the stripe in the final quarter. 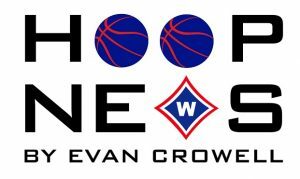 Our regional semi-final game will be today, Thursday, at 8:30pm vs. Etowah at Cherokee High School. Every time those two schools play something exciting seems to happen. Now more than ever the boys need every last Raider to show up for a HUGE game. Show your Raider pride today at Cherokee High School!